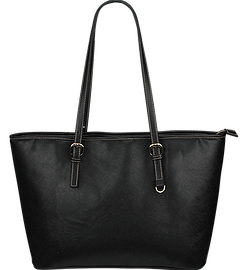 Wanderlust - Big artificial leather bag. Born to travel? Got the wanderlust genes? currency and a good poetry book in this beautiful colorful purse. Very cute bag and nice quality but it had a caustic chemical odor so strong that it filled the room and I had to set the bag outside all day. I hope it is not toxic. Love the bag, great print and colors. Everything a woman wants in her bag, fits in this one! Also for a beach day for example!